Bed Bath and Beyond might be in trouble. One thing UBS points out that’s hurting profits is the company’s famous coupons; it notoriously dispenses coupons for 20% off almost any item. The way that people use these coupons is not likely to drop off any time soon. “Coupon usage at its stores will likely remain at elevated levels in 2016, given their easy availability. This should continue to pressure its gross margin next year,” the note says. And while that strategy was successful for getting shoppers in stores for a time, it has now backfired, Sarah Halzack from The Washington Post reported in November. 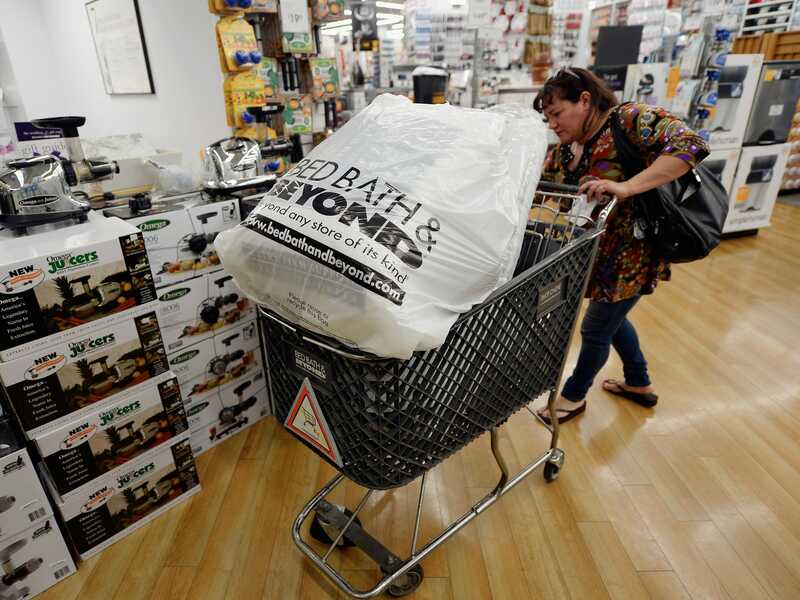 “Shopping with a coupon at Bed Bath & Beyond has begun to feel like a given instead of like a special treat, and that’s bad news for the chain’s bottom line,” Halzack writes. Bed Bath and Beyond’s profits declined 10% in the most recent quarter, with executives blaming expenses related to coupons. Now that consumers have come to expect coupons, the brand feels forced to issue them. The necessity of being careful with discounts is a lesson brands like Ralph Lauren, Coach, Michael Kors know all too well. These companies have reported disappointing earnings recently. Shares for all three have declined in the past year. Many of the companies’ struggles can be traced back to one mistake: opening too many outlet stores. Outlet stores sell the labels’ clothing for cheaper than department stores, giving the brands a wider audience. All companies have several brands at different price points, a strategy that could easily backfire, industry expert Robin Lewis writes on his blog. Kors has a high-end department-store brand, a middle-market brand, and a brand for discount outlet stores. “Some would argue all of those segments will simply end up competing with each other, thus cannibalising the top end of the spectrum,” he writes. In other words, consumers will not pay $300 for a Michael Kors or Coach bag in a department store when they can get one at the outlet mall for half the price. The same logic applies to Bed Bath and Beyond. Consumers will likely hold off on buying new vacuums or sheets until they get the 20%-off coupon. Bed Bath and Beyond says it plans to draw in more customers through marketing.